Beware : this will be a medium to long post..
Feel Free To Be Me !! By now, I guess most of us know that the mention of the word diet ,or the term “I’m on a diet” does not mean “I need to lose weight.” It means I have to achieve a well-balanced and healthy diet. Diet as in taking care of my nutrition intake , the food value, and balancing my input (calories) and output (how much energy I burn in day), and ensuring I don’t eat. excessively. And of course, eating right. Hence, “I am on a diet, I need to eat less” is wrong. I can still be eating less but that doesn’t guarantee that what I am eating is good and beneficial for me. – Make my own Milo, no sugar, no milk (i hardly drink Milo anyways..). The moment you order any sugary drinks at the mamak…you can imagine already how much sugar/condensed milk they put ! – YES to stir fried/steamed vege and NO to layu, dead sayur /vege! -NO to Coke/Pepsi and fizzy drinks. If you go to McDonalds, an take the Value Meal, change the fizzy drinks to a less sweeter drink.. I always change mine to Milo..
– its the quality , not necessarily the quantity. so its ok to eat like a Malay once in a while (I mean rice + the oily gravy). We do need some oil..but not too much plz..! The rule here is easy: The more milled, cooked, and dried-out a product is, the deader it is. Items that fall into the crispy/crunchy category are particularly dead ! Condiments are dead food as well.. ; salt, vinegar, sauce, flavouring, chili/tomato sauce etc..
Know your food and Up your nutritional knowledge of the food you eat. You are, what you eat. 2)EATING LATE AT NIGHT. You should not give any excuse for yourselves to allow this..! 4)FAST FOOD CULTURE. Urban life kills you in the most subtle way.. just beware aight..
6)STILL HAVING THAT COFFEE+DOUGHNUT/MINUM PETANG CULTURE.. Long gone are the days of minum petang..coffee and kueh. banish it. Just eat what you need. 7)NOT INCLUDING ENOUGH GREENS, FRUITS, AND FIBER IN YOUR DIET. The next lunch break you get, DO look for restaurants which serve freshly prepared greens !!!! And again, you gotta be flexible with your diet. If you’re working out more, obviously you need to increase your calorie intake. Go easy and gradual if you really want to achieve a healthier diet. No point of suddenly putting yourself into a strict diet only to maintain it for 1-2 weeks before going back your rebellious, i dont care and i’-dont-go-to-university’ kind of diet..! Maggi Mee hari2 beb.. Murah,sedap, senang nak masak and can eat in front of the tv.. lol..last bit goes to explain how ignorant some of us are when it comes in taking care what’s most precious and dear to us. Health is not just about the food. It involves lifestyle ; the duration of sleep, pressure from work, the amount of stress , etc. I found this Diet Guideline designed for Malaysians. It was developed and published by the Nutrition Society of Malaysia in 2000 as an effort to promote healthy eating 😛 Do take a look and feel free to print the pdf. file. Will be very Very beneficial for ya ! p.s. : it worries me that my guy friends (same age/1, 2 years older than me) are already buncit. (prononunced ‘boon-chate’), meaning pot-bellied Having secured your career and establishing should never serve as an excuse of saying that you don’t have time to take care of your health..! I wonder if they feel proud of this extra pounds they carry in front of them..
p.s. : it worries me that my girl friends, colleagues/peers are able to hide but feel comfortable of that weight gain they feel around their arms, waist line and thighs.. the ones younger than me are…very sihat ! lets not judge here aight. 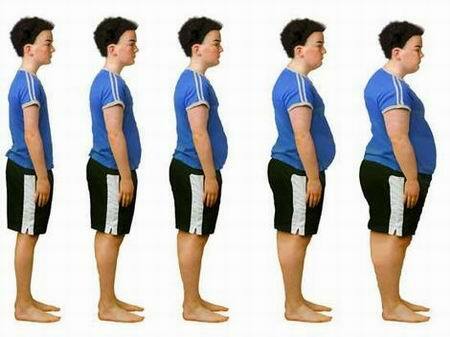 if they were not comfortable.. it is natural for them to worry and take the necessary steps to lose some weight ! p.s. : the infamous Malay catch phrase to excuse one self from engaging in a healthy lifestyle ‘Pakcik dah tua dah..’..or ‘Makcik dah tua dah..’.. since I’m in the sports scene, I would dare say to them..err..hello..you’re only 35..or ..you’re only 43.. look at my friend , IM Patsy Yap is in her 60s by the way..so shame on our dear friends who are not even in their mid 30s, 40s, 50s…and yet claiming they’re too old to be doing some sports/exercise. Muda2 dulu boleh la..(konon..) but sorry, excuse dah tak boleh pakai la pakcik,makcik. No offense to any one..BUT have you ever noticed the way some Malaysian ladies, whether university students/office workers, walk ?.. Ever heard of this word ‘melenggang’ ? Why do you think they melenggang..? Are their self-esteem and body factor affecting this trait..? Do they walk like that for a purpose..? Intentionally? Can they walk faster? or just cant be bothered ? Is it a pride or some kind of status symbol to be walking this way..? What’s the psychology behind walking style? You can tell when you’re walking with a Type A personality. You can”t keep up !! When a type A walks with a Type B personality, the type A have difficulty slowing down ! Is ‘melenggang’ merely a result of their own observation of other walking styles as they grow ‘older’? does it have to do anything with their body size? that they don’t like those excess fat in their triceps, abs, glutes and abs to jiggle so much and thus walking ‘gracefully’ behind the loose clothes can ‘hide’ this..? humm.. is this why they don’t do exercise..? i hope not.. Malaysian women, we can do better than this !! These are just ideas. or rather, my curiosity on why some women melenggang ! Not a hypothesis, and obviously not a theory.. I don’t remember observing a healthy lady walking melenggang before..or is it just happened to be a ‘culture’ for these people to walk melenggang.. or is it because of their body mass they’re walking like this. there’s no harm to observe. That’s what science is all about anyways.. Eating healthy is about keeping the BALANCE, MODERATION and VARIETY. 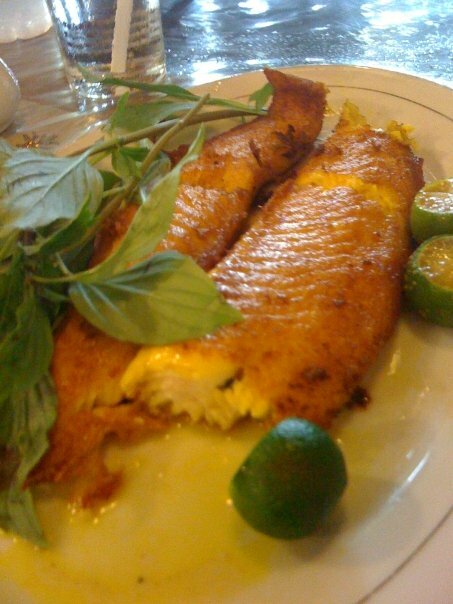 And of course, taking the effort to know what exactly we’re eating. Physical fitness comes hand in hand with healthy eating. Look up, read up. Malaysians, we need to up our nutritional awareness. Never too young or too old for this ok. Patsy Yap is in her 60s !!!!!!!!! 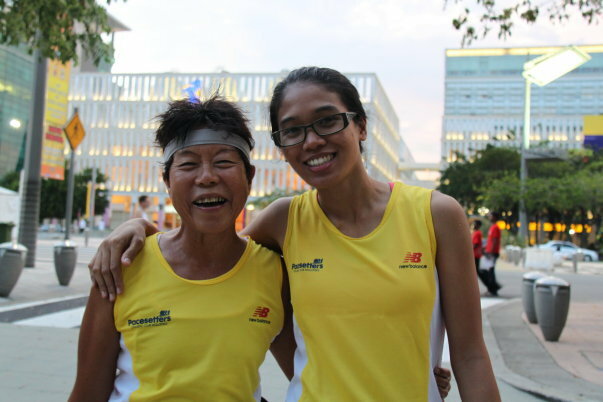 And she has completed Ironman Langkawi more times than I have. Er…what is Ironman again ? 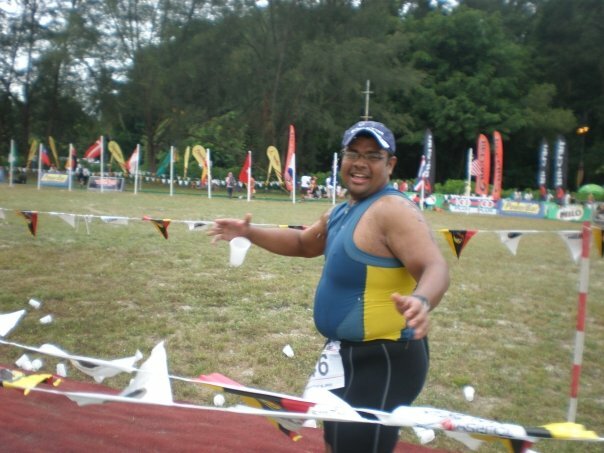 its the king of triathlon .. just a short swim of 3.8km, a nice spin of 180km and a jog of only 42km. Patsy Yap (60++) and missJewelz (30 in 2 years). Foto courtesy of my 'adik' Victor Loh. 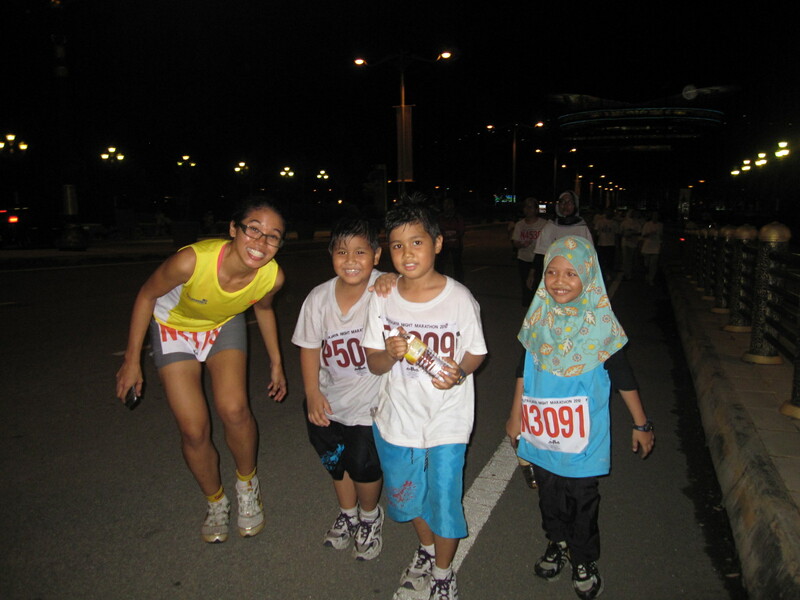 Taken before the start of the Putrajaya Night Marathon 2010. Abd Rahim Anuar, 65. Powerman Duathlon finisher. He runs, cycles, and does touring !!!! Rahim and his oldsters group have been cycling/touring around Malaysia, Bali, Thailand. Age is never a barrier. Let’s stop this -ve culture of thinking that you’re too old for anything !! Size is never a barrier. Let’s stop this stigma. Release that mental block ! with the UPNM Cadets. Universiti contoh to all other local IPTA/IPTS. UPNM rocks la. I was on the way to Putrajaya when I passed 2 3-tonnes, sending the cadets to race in Putrajaya. Sangat respect ! By the way, quite a number of them did sub 4 ok! Congrats guys&gals !! Thanks Crushhio ! I was still re-editing the article when u posted your comment ! 🙂 To a healthier + fitter Malaysia ! Nice read. Couldnt stop associating meself to it all (specially on the food part). I love to eat, heck most malaysians do and its indeed the hardest part to keep it in check. But god willing, slowly but surely and have taken a liking to anything steamed lately specially the greens and laying off sweet stuffs. It’s never too late for anyone including myself to begin from the very dot of it all. All it takes is the ‘need’, the ‘want’ coming from within us to begin the journey to a healthier lifestyle. yup.. its some times hard to resist ourselves to the temptations. i have the same problem as well..partly because its so hard for me to gain weight despite the amount of food i eat. and yeah, i agree with u.. its NEVER too late to start kan 🙂 datz d way ! I still have yet to kick my coffee habit! And a note to us the (some accidental?) weekend warriors, just because we run/bike/swim on a regular basis doesn’t give us the right to those NOs mentioned above. I noticed a few of them ‘fast guys’ smoking before a run. Don’t they realize how much faster they would be if they didn’t smoke? Weird. been searching for this kind of tips, eating right the malaysian way. fairul, sorry for the late reply ! but thanks !!! :)read more, refer,digest, share ! nice work. i would like to thank you for that. Its really help me. Can you email me, how can i be fit because i’m playing sports. body and lose my weight abou 1 kg. I also given some samples out, specifically to my family. I loved very much. Thank you VEMMA for sharing. Alway…dreams. As the food rolls down the conveyor belt, it is in a simple pattern. So be aware of the fact that they can play the games besides their study. it is also termed as a pragmatic source of getting some extra income as well. It was hard to find this post in google, but i am glad i found your interesting site.